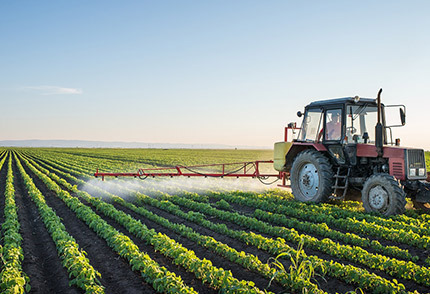 Did you know that all certified organic operations must report all incidents of prohibited pesticide residue and GMO detections on organic products and ingredients? In the NOP’s announced “age of enforcement,” investigations into pesticide residue and GMO detections are on the rise. Certifiers and certified operations must work together to protect organic integrity. The NOP has recently also announced that it is looking into obtaining authority for recall of product that does not meet organic standards. This makes it even more important to look at controls to mitigate the chance of contaminated product being sold into the marketplace, even if you are confident that you did not cause the contamination. When an operation “self-reports” a contamination incident to QAI, we will request copies of the test reports, the details of the sampling and testing, and, as applicable, audit trail documentation connecting the contaminated product and/or ingredient back to your certified supplier. If it is determined that the contamination event did not occur at your facility, QAI will use the documentation provided to pass the investigation to the certifier of your supplier. Failure to report pesticide residue or GMO detections to QAI may result in a noncompliance or other enforcement action, such as an unannounced inspection and/or additional sampling and testing, or even initiation of adverse action (e.g. proposed suspension or proposed revocation), depending on the severity of the circumstance. For more information, or to report a contamination incident, please contact your Certification Project Manager.